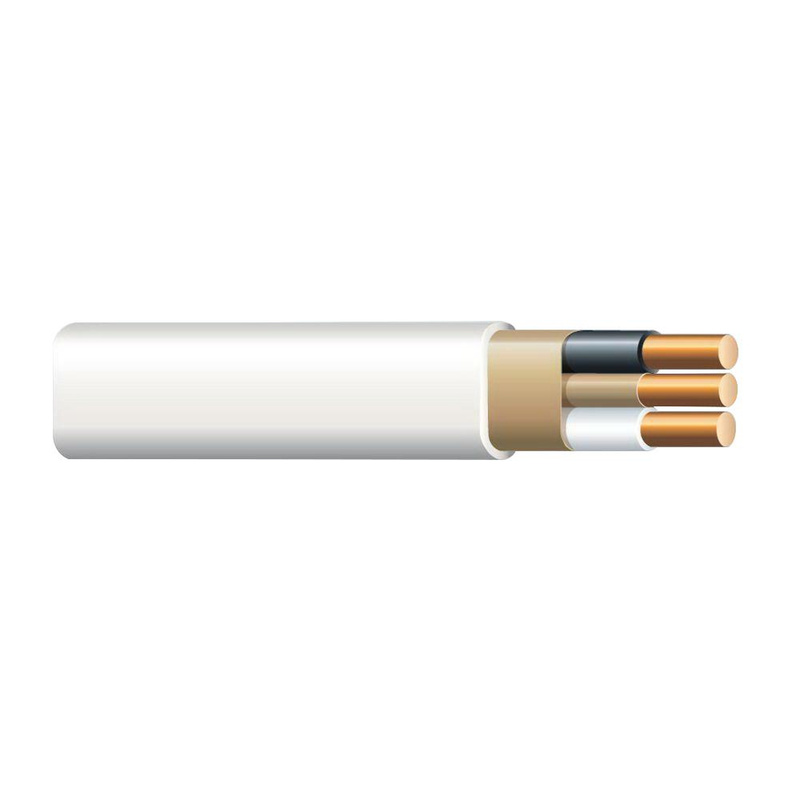 14/2 NM-B Non-metallic sheathed cable features 19-mil PVC insulation and 30-mil nylon jacket. Cable with grounding, has voltage rating of 600-Volts and current rating of 15-Amps. This tear-resistant cable incorporates SIM technology for easier pulling. It features white color-coded jacket for easy identification. This copper cable is perfect for use in residential wiring as branch circuits for outlets, switches and other loads. It withstands temperature rating of 90 deg C in dry conditions. This 250-ft cable comes in coil. Cable is UL listed, RoHS/REACH compliant and meets all ASTM standards.